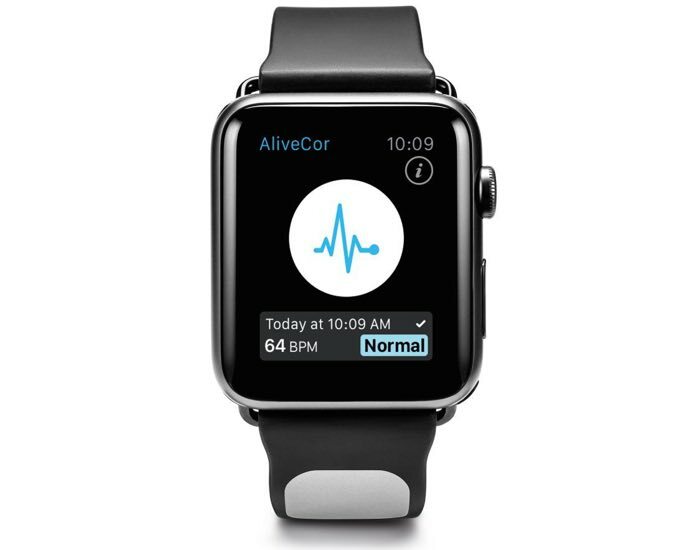 AliveCor is launch a new strap for the Apple Watch which could potential detect a stroke, the strap is called the Kardia Band and it works in conjunction with an Apple Watch App. The Apple Watch Kardia Band is capable of taking an ECG reading by pressing a sensor on the strap, it then sends the data to the Apple Watch app. The strap is apparently capable of detecting Atrial Fibrillation and can then alert your of a possible imminent stroke. The strap also works with the Apple Health application as well as the company’s own Apple Watch app, as yet there are no details on how much the strap will cost or when it will be available.